Shopping for a new home can be one of the most exciting times of your life. But after the excitement of finding that perfect space, making an offer and closing, you have to face the harsh task of packing up all your belongings and moving. Whether you're moving across the 'hood or across the country, moving is always stressful. Unfortunately, unless you plan to live in the same place for the rest of your life, moving is also inevitable. The U.S. Census Bureau projects 40 million Americans will add another home to their list this year, with 65 percent moving between Memorial Day and Labor Day. 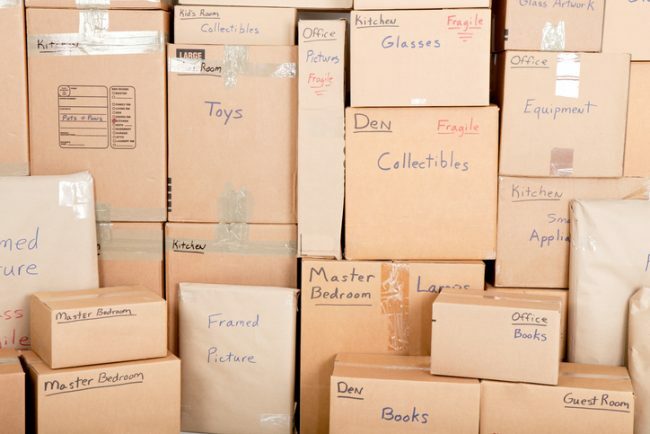 With the spring moving season upon us, many are packing up their boxes and hitting the road. More stressful than a wedding. Surprisingly, 58 percent feel moving is a bigger challenge than wedding planning. Move over, bridezilla. Say hello to...movezilla? Argument starter. Stress often leads to arguments, so it makes sense that 31 percent of Americans who have moved in with a partner–including 46 percent of millennials–have had some of their worst arguments while moving. Related: Prepping For a Move: Should You Hire a Pro or DIY? A time for parents to be selfless. Prior to a move, 69 percent of American parents claim they prioritize their child's needs over their significant other's needs. It takes longer with kids. Like grocery shopping, traveling, and, well, most things you do with your children, the actual process of moving can take up to eight days longer when your kiddos are in tow. Finder’s keepers. Wading through sentimental items may make your move take longer. The study found that 81 percent of parents admit they have kept a child's possession, even when given permission to get rid of it. Take our advice: no one cares about those second grade art projects and that box of nubby stuffed animals. Let them go.